Chris Markwith has been selected as the next chief financial officer of LifeSpire of Virginia, which manages four continuing care retirement communities throughout Virginia and one continuing care without walls in the Greater Richmond, VA, area. He will direct overall financial operations for LifeSpire, its communities, foundation offices and its home-based membership program. For the past year, Markwith was the organization’s controller. His expected transition date to the CFO role is June 1. Markwith succeeds Joe Kelley, who will retire in October after 10 years with LifeSpire of Virginia and a career spanning more than 40 years. The incoming CFO has more than 25 years of experience in progressive leadership roles in auditing, finance and operations for several organizations, including the commonwealth of Virginia, Signet Banking Corp. (now Wells Fargo), MCV Physicians, ChildFund International, Patient Services and Health Savings Administrators. A certified public accountant, Markwith is a graduate of the University of Mary Washington, with an undergraduate degree in business administration and a major in accounting. He also earned a master’s degree in business administration from Virginia Commonwealth University. Megan Campbell, MHA, NHA, has been promoted to chief operating officer of IntegraCare. In her new role as COO, Campbell will lead all operations, regulatory affairs, quality initiatives and operational enhancement implementation for IntegraCare communities. IntegraCare currently manages 10 senior living communities in Pennsylvania and Maryland, with another community set to open in Reston, VA, in May. Campbell has 25 years of experience in senior living. She joined IntregraCare in 2005 as an interim executive director at Newhaven Court at Lindwood, a community in Greensburg, PA. Other titles with the company have included executive director, director of operations, vice president of operations and, most recently, senior vice president of operations. Campbell has a master’s degree in health administration with a concentration in long-term care and a Bachelor of Science degree in gerontology. She serves on the Pennsylvania Healthcare Association Board of Directors and is a co-chair of the Assisted Living / Personal Care Board. Aaron Webb has been promoted to chief operating officer at Morning Pointe Senior Living, Chattanooga, TN. After a year and a half as the company’s executive vice president, he now will oversee Morning Pointe’s daily operations. As part of Webb’s promotion to COO, Morning Pointe Senior Living co-founder Franklin FarrowFarrow now will serve as CEO, and co-founder Greg A. Vital will serve as president and chairman of Morning Pointe’s board of directors. Webb holds a law degree from the University of Tennessee College of Law in Knoxville and an undergraduate degree from Denison University in Granville, OH. He brings more than 20 years of strategic business, financial, and legal experience to his new role. He previously held executive positions with Life Care Centers of America, the Electric Power Board and Fidelity Investments. Independent Healthcare Properties / Morning Pointe is the developer, owner and manager of 32 Morning Pointe assisted living and The Lantern at Morning Pointe Alzheimer’s Memory Care Center of Excellence communities in five southeastern states, employing more than 1,500. IHP was founded in 1996. Debra Valkenberg, RN, BC- RAC-CT, is the new chief nursing officer of Ascension Living. She brings almost 20 years of nursing leadership experience to her new role. Valkenberg joined Ascension Living in 2017. Most recently she was the company’s senior director of clinical operations. Under her leadership, the organization has made significant gains in quality ratings and improved nurse leadership retention as well as clinical survey results, according to Ascension Living. Before joining the organization, Valkenberg was the senior divisional director of clinical services for Brookdale Senior Living. Over her career in nursing, she has served in a variety of areas, including divisional clinical operations, regional quality improvement, national and divisional Minimum Data Set support, community nurse leadership and direct care in pediatric and telemetry units. Valkenberg earned her nursing degree from Excelsior College in New York. She is a certified resident assessment coordinator. Dale Fruehauf, MS, SPHR, is the new vice president of human resources at the Avamere Family of Companies, headquartered in Wilsonville, OR. Fruehauf brings to the position more than 25 years of experience in the HR field and more than 20 years of providing senior HR leadership in a variety of industries. Before starting his career in HR, he gained seven years of experience in healthcare as a certified nursing assistant working with residents with dementia. As vice president of HR, Fruehauf will join HR and business in an integrated network of care. He will take a lead role in implementing and aligning Avamere’s “People Priority” in support of the overall business plan and strategic direction of the organization, specifically in the areas of engagement, talent management, organizational effectiveness, performance management, employee and labor relations, and training and development. Fruehauf has a master’s degree in industrial / organizational psychology and is a certified senior human resource professional, a designation awarded by the HR Certification Institute. Avamere operates 64 communities offering assisted living, independent living, memory care, rehabilitation, home care, transitional care and more and has more than 8,600 employees. Leslie Carter has been named executive director of Longleaf Liberty Park senior living community, which is scheduled to open in August in Vestavia Hills, AL. The assisted living and memory care community is being developed by Birmingham, AL-based Greenbrier Senior Living. Carter brings more than 20 years of experience to the role. She will be responsible for building a team of skilled professionals who will deliver on Longleaf Liberty Park’s mission of promoting residents’ physical, social, intellectual and spiritual growth, and she will guide the development and continued evolution of the community’s friendly, welcoming culture. Madison Wright has joined Maple Court, an Integral Senior Living community just north of Knoxville, TN, as director of sales and marketing. In her new position, Wright’s priority is to develop positive and lasting relationships between the community and the businesses and organizations in and around Knoxville. In addition to attending various community activities and networking events, her day-to-day tasks include helping residents and their families coordinate all aspects of the move-in process, developing annual marketing plans and organizing marketing visits to the community. Before joining Maple Court, Wright spent three years with another ISL community, The Pointe at Lifespring, serving as a senior Vibrant Life director and a sales and marketing assistant. Wright graduated from Carson-Newman College with a Bachelor of Science degree in communications with an emphasis in public relations. John Merry has been named director of community relations at Benchmark Senior Living at Robbins Brook, an assisted living and memory care community in Acton, MA. He brings more than 25 years of experience to the position, having held regional and national healthcare marketing and business development positions at several organizations, including Alliance Healthcare Services and Winchester Hospital. Before joining Benchmark, Merry was the director of community business development for Home Health Foundation, where he oversaw the development and implementation of marketing and sales plans to maintain and increase collaborative relationships within the medical community. Marry graduated from the University of New Hampshire with a Bachelor of Arts degree in English. Julia Soya is chef at Tapestry Senior Living Wickliffe, an assisted living and memory care community that opened in December east of Cleveland. In this role, she oversees culinary programming. Chef Soya brings more than 13 years of culinary experience to Tapestry Wickliffe, having worked in positions including sous chef for John Beshin New Orleans, director of pastry programming at the International Culinary Arts and Sciences in Chesterland, OH, and executive chef at the Cellar in New Orleans. Soya has a Bachelor of Science degree with an emphasis on culinary arts. Justin Wolgemuth has been named president of Masonic Village Home Health, Home Care and Hospice, a division of Masonic Village at Elizabethtown, PA. He is responsible for strategic planning, organizing, directing and coordinating all facets of operations for Masonic Village Home Health and Hospice, including maintaining compliance with federal, state and community health accreditation partner standards and identifying opportunities for improvement. Most recently employed as the vice president of clinical services at Mennonite Home Communities and a registered nurse for Horizon Healthcare Services in Lancaster, PA, Wolgemuth has more than 20 years of experience in the healthcare field. He has an associate’s degree from St. Joseph’s School of Nursing and a Bachelor of Science in Nursing degree from Millersville University. Debra A. Cafaro, chairman and CEO of real estate investment trust Ventas, has been selected to lead the board of directors of the Economic Club of Chicago for a two-year term beginning July 1. The appointment was announced April 10 during the club’s 91st annual dinner meeting, where Cafaro was the guest speaker. She will succeed Mellody Hobson, president of Ariel Investments, in the role. Founded in 1927, the Economic Club of Chicago is an independent, nonprofit, nonpartisan organization that aims to foster meaningful connections among Chicago leaders to encourage conversation about economic and social issues and to cultivate the next generation of civic leadership. Cafaro is the group’s 49th chair. Mike Schaffer has joined Raleigh, NC-based Allbridge as chief financial officer, and Anthony “Tony” Buglak is the new vice president of finance and controller. The company was established when Bulk TV & Internet, DCI Design Communications and EthoStream merged last year. Schaffer brings to his role more 25 years of operational finance experience, leadership and process improvement expertise from various Fortune 100 public companies, privately held companies and private equity portfolio companies. As CFO, he will lead the financial strategy of Allbridge, ensuring that all annual objectives are attained while­ overseeing all financial controls and procedures. Most recently, Schaffer was the CFO for SICOM Systems. He previously held multiple executive-level positions, including CFO for Scala, CFO and founder of Annexus Mobile Solutions, and senior vice president for GE Capital. He earned his undergraduate degree from Bucknell University and an executive MBA through the GE Financial Management Program. Buglak, in the role of vice president of finance and controller, will oversee the daily operations of the finance organization for Allbridge. He brings more than 20 years of finance and operations experience to the position, having most recently served as vice president of finance and controller for Bell & Howell. Previously, Buglak was financial controller for Gold’s Gym International and a manager with Coopers & Lybrand. He earned a Bachelor of Science degree in accounting from Case Western Reserve University in Cleveland. Allison Hart has joined It’s Never 2 Late as vice president of marketing, Susan Tournie is the new vice president of sales and Lauren Foley has joined as director of national enterprise accounts. Hart will be responsible for expanding iN2L’s marketing function. She brings almost 20 years of marketing experience, including a 15-year tenure in the healthcare IT industry, to the role. Tournie will expand and lead iN2L’s national sales team with an emphasis on enterprise and regional sales growth. She has more than two decades of experience in healthcare and technology solution sales. Foley will manage national accounts for iN2L, engaging with senior living communities to determine how technology can help them enhance resident satisfaction. Her history of working with enterprise health systems includes almost 10 years providing communication and engagement IT solutions aimed at improving patient outcomes. Ajay Gulati has been appointed chief technology officer, and Bryant P. Castleton has been appointed chief commercial officer at SafelyYou, a San Francisco-based memory care-focused healthcare technology company. In his role, Gulati will provide technical leadership, product innovation ideas and strategic direction to launch the next-generation artificial intelligence and machine learning platform for SafelyYou. He also will build the technical team. Before joining SafelyYou, Gulati was CEO and CTO of ZeroStack, which he founded in 2014 to build a self-driving cloud. During his tenure, Gulati built and led ZeroStack’s technical team across multiple locations..
Gulati also formerly was senior architect and research and development lead for VMware, where he designed several flagship products as part of ESX and vSphere. He has more than a dozen patents to his name and has consulted with serveral startup companies, including Velocloud and Nimble Storage. Gulati earned his doctorate and master’s degree in computer science from Rice University and an undergraduate degree from IIT Kharagpur. As CCO, Castleton will lead business development, sales and marketing as part of SafelyYou’s executive team. Castleton has more than 15 years of experience in the healthcare information technology industry and has held executive in sales and business development in organizations ranging from start-ups to Fortune 100 firms. Before joining SafelyYou, Castleton was CEO of Holon Solutions, where he led the organization’s efforts in creating the go-to-market strategy for its interoperability platform. Castleton has held several leadership roles, including regional vice president for Enli Health Intelligence as well as medicity and territory vice president for McKesson. He also has worked in business development in private equity for the GSI Group and spent eight years at GE in its Healthcare and Capital businesses. Castleton earned his undergraduate degree in communications from Brigham Young University. Siamac Afshar has joined HJ Sims, a privately held investment bank and wealth management firm, in the Philadelphia, PA, office as vice president of investment banking. 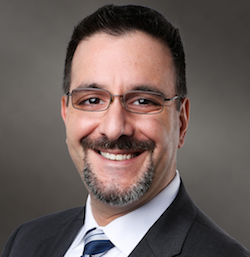 Before joining Sims, Afshar was a vice president withAcacia Financial Group, an independent municipal advisory firm, where he spent the past 12 years managing projects and analytics for governmental entities and issuing authorities across the United States. In addition to being involved in more than $125 billion principal amount issued, Afshar led the firm’s open market securities escrow bidding practice and acted as the quantitative lead for the firm’s derivatives practice, which he helped develop. Before his work with Acacia, Afshar spent four years with Public Financial Management, among other positions. Siamac earned a Bachelor of Science in Business Administration degree in finance from the University of North Carolina. Deborah Hoyt will join Dallas-based healthcare technology company Axxess in mid-July as senior vice president of public policy, a newly created position. She will oversee the company’s engagement in public policy initiatives. Hoyt has been president and CEO of the Connecticut Association for Healthcare at Home since October 2010. In this position, she has provided strategic direction and daily management to advocate for the interests of more than 100 Connecticut-based home health and hospice agencies and affiliate organizations representing a statewide workforce of 19,000 clinicians and professional. Some of Hoyt’s other titles over the course of her career include assistant vice president of public affairs at Aetna, director of public relations and corporate social responsibility for ConnectiCare and vice president of communications and vice president of public affairs and education for the Connecticut Hospital Association.